Because last Thursday’s Work Party was rained off, we are arranging another for this coming Thursday. It is likely to be a much smaller affair because the date will not be in Friends’ diaries, but please turn up if you can, and Andrew will organise the work on the basis of the numbers of volunteers present, and (dare I say it) depending on weather conditions. All other details for the aborted last work party still apply, so please go to to the Notice of the Work party 16th August to refresh the details. It is still expected that at least one member of the local metal detecting group will visit. If there are any questions, will you please address them to Andrew direct: his contact details are below. as I will not be able to be there on Thursday, and Andrew is the principal ‘authorised’ work party leader. (N.B. If any of you wish to volunteer to attend a Borough Council’s Leaders Course or First Aider Course please let Andrew know). Before I go out on Thursday on a private engagement, I will deliver shoes to the Fernery for those who ordered them. 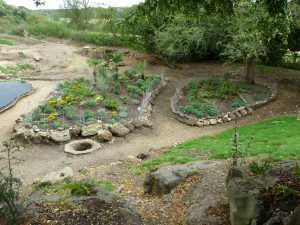 As with the June and July 2018 Work Parties we will all meet in the Fernery at 10 am for Team Briefings which will be led by Andrew, who will allocate the tasks to be undertaken. The weather conditions and related safety concerns, will of course dictate which tasks will be practicable for us this coming Thursday. N.B. Safety Shoes that were ordered have now arrived and are ready for distribution. Composting – there is a need to tidy up the compost heaps, including the cutting back of bramble trailers to allow access later this year in order to add leaf compost. 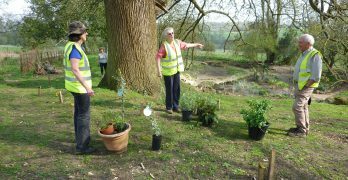 Weeding – there are lots of weeds that need pulling (rather than strimming, so that weed seeds are stopped from spreading) and then adding to the rubbish compost. Leaf collection – the leaf blower will be available to blow small branches and dried out leaves into heaps, where they can then be picked up and deposited in the compost heaps. Watering – not likely to be needed this week. Visiting Detectorist – it is possible that at least one member of the local metal detecting group will visit us on Thursday 16th September. They know about our recent water irrigation discoveries, but they are keen to work with us and, perhaps, help us discover and document the source of the Victorian irrigation system. 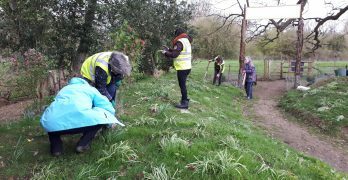 Overhanging brambles and growths – the perimeter path constantly needs maintenance – “I need a secateurs gang”! Stock fence boundary – all the small tree saplings growing along/into the wire fencing should be cut off at ground level. They are a mixture of ash, elm and oak. A selective few should be retained (far enough away from fence to not be a future problem). The sunken path is generally in good condition because it has been mown each side. But there is scope to continue the scrub coppicing at the sides that was started 2 years ago. This could be done in August. Andrew has identified quite a few ferns growing at the side of the sunken track that could be dug out and replanted in the Fernery. Tea breaks for the two work parties will of necessity be separate, but we will aim to meet up together in The Fernery for de-briefing at 12 p.m.
Ann MacDonald has agreed that a mechanical digger will be on site for this purpose on the 20th September 2018 (Work Party Day), and volunteers will be asked to replace the membrane at the conclusion of this exercise and clean up the pile of top soils which will be (temporarily) dumped by the Pulhamite Outcrop at the North East end of the Dell. Sarah will direct the planting operation in the Fernery, which might well require the ‘scrub-bashers’ help. The task will involve the spreading of bark and top soils preliminary to actual planting out. 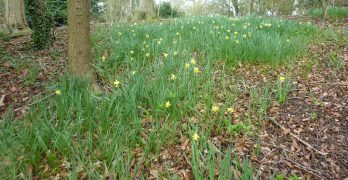 (Nearer the time, it might be decided to carry that task out in advance of actual planting). Ann has agreed to proceed with this task using the voluntary efforts and organisation of the Mid-Herts scouts as previously reported. But it has since been discovered that rabbit wire is already in place around the perimeter of The Fernery and the task will therefore be a lesser task of repairing the few major gaps and holes. 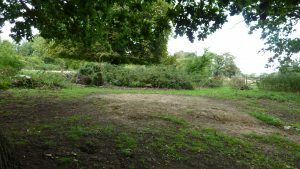 The Borough Council have directed that, in principle, Fernery Work Parties will not plan excavation tasks requiring mechanical help until the New Year when, as happened successfully in the Spring months of 2016/17/18, she brought her men on site to excavate. So, in the Spring of 2019, the spectre of discovery will once again be revealed, and we know in advance that we have paths, steps, and more planting beds yet to be uncovered. 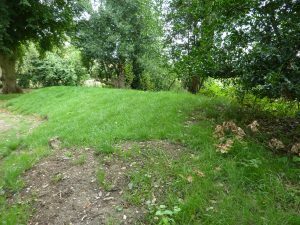 Ann MacDonald has also targeted the Pulhamite Outcrop site at the North East end of the dell for 2019 Excavation/Restoration. She intends that the mis-placed Pulhamite stone which is resting nearby, will be re-set by Maydencroft within the walls of the outcrop, to the same professional standard employed in re-setting the grotto rocks. Since we first established ourselves as a group in February 2017, operating within an agreed Constitution, we are overdue holding an AGM, and an Agenda will be produced shortly. 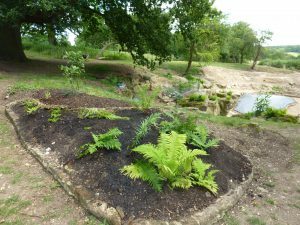 Our success in the Fernery has led to the Danesbury Residents Association having to manage considerable funds in our name, and our origjnal plans for banking are arguably now inappropriate. We also need to review our team structure to ensure that we present more opportunity for individual members to share team responsibilities if they so wish.